Your menu is one of the first things that your customers see, and it needs a stylish look that isn't overly complex or tacky. This is a design that references classic American design elements without getting kitschy; it's modern and traditional at the same time, and diners will appreciate the approach. 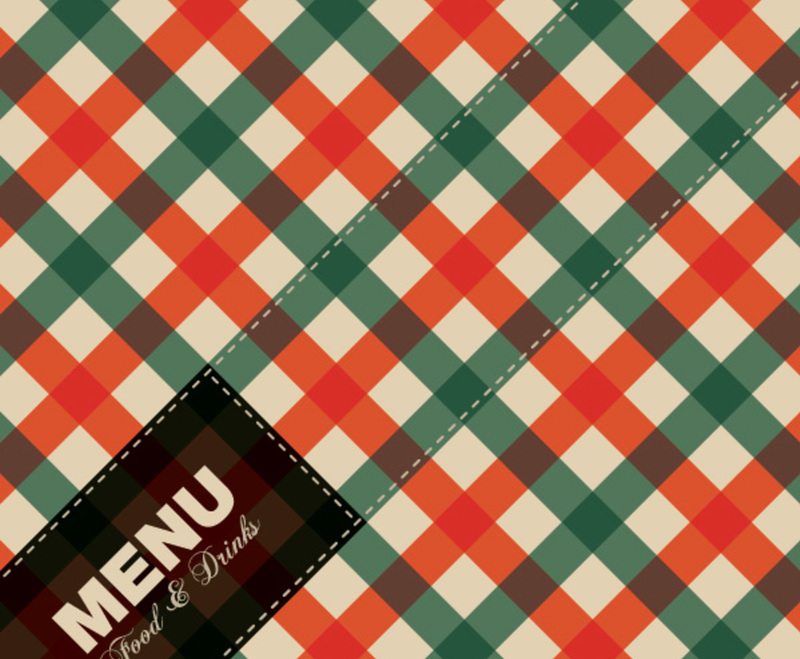 The intersecting orange and green lines form a basic pattern, and the "menu" and "food & drink" fonts create a nice contrast. While this design was created for restaurateurs, you can easily customize it to create a powerful branding tool for virtually any type of business.